On today’s episode of All in the Industry®, host Shari Bayer is joined Andy Chabot, Sommelier and Director of Food and Beverage at Blackberry Farm, a luxury hotel and resort, and Relais & Châteaux property on 4,200 acres in Walland, Tennessee, bordering the Great Smoky Mountains. Andy is a graduate of the Culinary Institute of America (CIA), who after a stint at Little Nell in Aspen, found his true interest in the front of house. In 2002, he began his career with Blackberry Farm, and soon became involved in its young wine program. 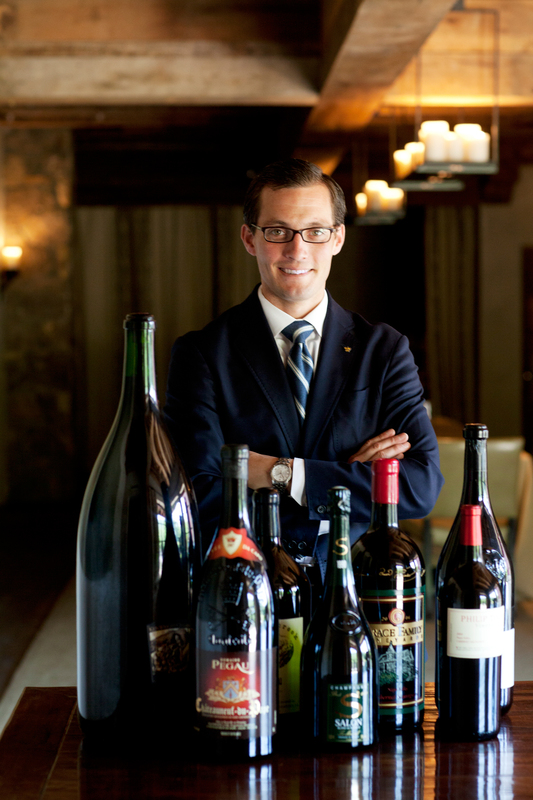 He worked his way up to Director of Dining and Beverages running all aspects of the service and beverage departments, and in 2014, under his direction, The Barn at Blackberry Farm, received a James Beard Award for Outstanding Wine Program. Andy has passed the advanced level of the Court of Master Sommeliers Exam and was the recipient of the Michael Bonaccorsi Scholarship. Today’s show also features Shari’s PR tip, Speed Round, Industry News discussion; and Solo Dining experience at an Amalfi-inspired lunch with Lo Scoglio (Marina del Cantone, Campania, Italy) and Legacy Records (NYC). Listen at Heritage Radio Network. Subscribe/rate/review our show at iTunes, Stitcher or Spotify. Follow us @allindustry #allintheindustry.